Should you Upgrade your home ? So, you’re thinking about upgrading your home. Maybe your kids are getting older now and it’s time to find a place with a big backyard. Most new home owners will make the decision to upgrade before long – but for many young families, a lack of planning can spell disaster when upsizing the family home. Before you start shopping around for a real estate agent, take a few minutes to ask yourself a few simple questions. Be clear about your reasons for upgrading. Buying an enormous home won’t necessarily mean greater capital growth in the future. Sometimes the greatest growth is in the lower end of the market. If you want to upgrade simply to grow your property portfolio, consider purchasing an investment property instead. If you’re upgrading to give everyone some space, consider the area that you want to live in. You might be able to afford a much bigger home by moving an extra 15 minutes from the city. It all depends what sort of lifestyle you want to maintain. Investigate all of the costs associated with upsizing your home. That means, not just the additional mortgage payments, but increased utility bills, perhaps a longer commute to work, more furniture to fill the additional space etc. It’s important to know exactly how much the move will cost you – not just the initial purchase. Could you afford to borrow an extra $150,000 if the interest rates were 2% higher? Make sure you take into account some interest rate rises when you work out what you can afford to borrow. Although a lender might offer you the funds, that doesn’t mean that they know everything about your lifestyle and budget. Will I change my lender? You might take the opportunity to shop around for a better deal on a loan before you purchase your new property. It’s important to keep in mind though, there could be charges associated with paying out your current mortgage, and there will probably be some establishment fees involved in taking out a new loan. These fees should be part of your decision-making process. It’s also important to ask your mortgage broker about Lenders Mortgage Insurance. LMI is generally payable when you borrow more than 80% of the purchase price. Depending on your purchase amount, LMI could add up to several thousand. Did you answer all of the above questions, and still want to upgrade your home? Great! There’s nothing wrong with wanting to move on to greener pastures. But to avoid putting yourself under financial strain, it’s always important to do your homework. http://brickhill.com.au/wp-content/uploads/2018/07/money.jpg 335 470 admin http://brickhill.com.au/wp-content/uploads/2017/03/brickhill-340-x-156.png admin2018-07-04 21:23:152018-07-04 21:23:15Should you Upgrade your home ? 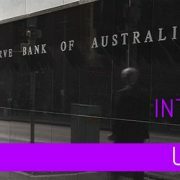 The RBA has made its decision on the cash rate, choosing to hold it at 1.5%. It has now been at this rate for 22 meetings and experts are not forecasting a change any time soon. Predictions coming in over the weekend and yesterday had forecast this decision, with AMP Capital’s chief economist, Dr Shane Oliver, saying there was “no strong case to move either way”. Most people are not predicting a change to the rate until late-2019. 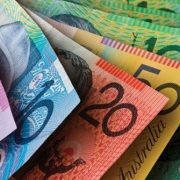 Explaining why this would be the case, Tim Lawless, CoreLogic head of research, said, “Economic conditions remain reasonably stable, housing market growth continues to slow, household debt is at record highs, and inflation remains around the lower end of the RBA target range. Despite the decision to hold, lenders have been increasing their interest rates. Lawless added, “Focus is now moving to mortgage rates, where we are increasingly seeing upwards pressure from overseas funding costs. Already, smaller banks and non-banks, who are generally more exposed to wholesale debt costs, are pushing interest rates higher for select mortgage products. “Larger banks, who are more reliant on domestic deposits to fund their home loans, have less exposure to higher funding costs. However, it is likely margin pressures are becoming evident across the big end of town as well.